This was a phenomenal episode of the WTF Podcast. Listener emails Marc, “hey, you should interview my dad.” Marc says, “I don’t know your dad.” Kid says some more stuff. Marc says, “fine.” And it ends up being a phenomenal conversation (Marc calls it one of the best he’s ever had). I loved this quote. I’ve fallen in love with “business” because of how much it’s taught me about myself. 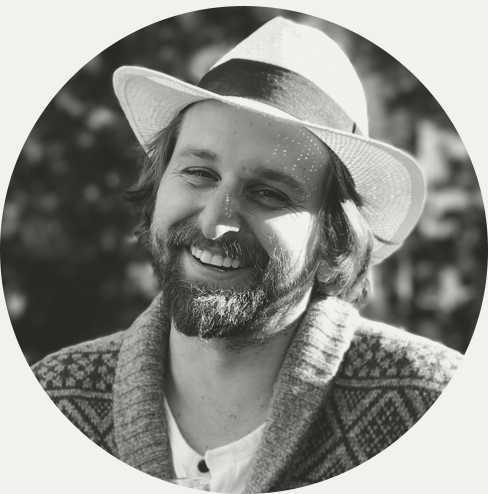 I said in a recent interview my favorite ever game to play is “build a business with Chase Reeves.” Making something with the goal of earning a living through it engages so much of my stuff… the bits I’m good at, the bits I want to get better at, the bits that are unabashedly me. And the carrot on the end of the stick is finding out more about me and the people I serve through the things I make. Now, I can hear how selfish this is. Count the me’s and I’s i’ve written so far. Sense the inward “all about me” gravity. First of all, I realize I’m extremely prone to an unbalance, an overly “me” orientation. We all are, but maybe me more so than others… my wife will confirm. Secondly, we gotta become ourselves, get comfortable in our own skin, get to a place where we’re confident about who we are, proud and grateful about the accomplishments and experiences that make up our DNA… we can’t love or serve or make sustainably without stepping into some kind of coherent sense of self. I’m grateful that business has been both the canvas and the anvil. I express myself on it. It expresses itself on me. Anyways, I loved this interview and this quote is the lil’ sliver I show you to get into it.